Statements with asterisks refer to internal use. PLEASE understand essential oils are highly concentrated and many people have done serious damage to themselves by ingesting essential oils. I am not promoting or advocating for the ingestion of essential oils. Do so at your own risk as well as do your own research, and consult a physician when necessary. It positively affects mood with stimulating and refreshing properties. 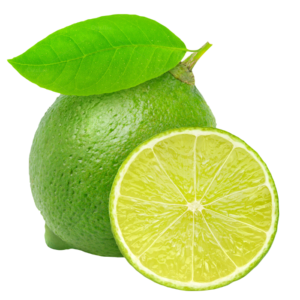 Lime promotes emotional balance and well-being. Diffuse Lime to cleanse the air and uplift mood. Put some Lime on a cotton pad to help remove grease spots and sticker residue. Add one drop to facial cleansers, shampoos, or toothpastes for added cleansing properties. Combine Lime with Melaleuca essential oil for a soothing scalp massage. Add a drop of this bright and tangy oil to your salsa. Diffuse it while studying, and then apply it to the wrists while testing on those subjects later. Lime essential oil blends with Cedarwood, Black Pepper, Cilantro, Lemon, Lemongrass, and Melaleuca. Replace sugary beverages by adding a drop of Lemon and Lime in water for a refreshing flavor. Lime reduces the appearances of blemishes and keeps the skin looking healthy when applied topically. It promotes clean, healthy looking teeth. Lime is energizing and uplifting when diffused or applied topically. Diffuse to cleanse the air and lift your mood. Put some Lime on a cotton pad and use to help remove grease spots and sticker residue. Add a drop of Lime to your drinking water for enhanced flavor. Add 1 drop to your facial cleanser or shampoo for added cleansing properties.